Human chorionic gonadotropin is a bio-identical hormone polypeptide protein that exists in the tissue in the human body in tiny amounts and is produced in large amounts by the body during pregnancy. Human chorionic gonadotropin allows the body to utilize your bad fat storage to produce energy. Also conserves your good fat. Human chorionic gonadotropin further spares lean muscle protecting it from muscle wasting as part of the weight loss. During pregnancy human chorionic gonadotropin uses calories and nutrition from the excess fat to feed the baby. In the same way, it will provide you from 2000 to 3000 calories a day from your existing fat storage. Therefore one will not be hungry on this program even though you are eating only 500 calories. Remember you're not getting calories from this small amount of food you're eating but from calories and vitamins and nutrition that you already have stored in the fat from years of excess calorie intake. So that the energy that you're getting is actually the 500 calories of food being eaten plus the 2000 or 3000 calories being utilized from fat stores. Weight control clinics and physicians all over the country are using this, and in constant demand because if done properly it works. Who should not use HCG? If you've had early puberty or any hormone-related cancers. We will not prescribe these medications for you if any of the above conditions exist. Other things one should tell the prescribing physician if you ever had a thyroid or adrenal gland disorder. Also migraines, epilepsy, heart disease, undiagnosed uterine bleeding, asthma, ovarian cysts, thyroid or adrenal gland disorder. Particularly please notify the physician if you've had cancer or tumor of the breast, ovary, uterus, prostate, hypothalamus, or pituitary gland. How much Weight can I lose using the program? Most patients report a loss of one to 2 pounds a day. So on 20-day program one can expect to lose about 20 pounds. On the 40 day program, one can expect to lose up closer to 40 pounds. However, the heavier one is, and the more weight one needs to lose, the more likely you are to lose 1-2 pounds a day. If someone needs to lose a smaller amount of weight then they should expect to lose a little less weight daily. And most importantly the diet depends on following the weight regimen exactly. Increasing the vegetable intake and mixing salad with each meal is an excellent choice as these foods increase fiber intake and increase the intestinal outflow tract to clear up the undesired buildup. Adequate hydration is absolutely essential to this diet as well. So we will do everything we can to make you successful but one must follow the diet as closely as humanly possible. Constipation can occur with inadequate water intake. Laxatives should not be used. The good thing is that for the first 2 days of the HCG injections you can eat as much fat and sweets as you desire. This is actually a fat loading. That is so important to make sure that one will not be hungry for the rest of the diet program. This actually primes your system to release its fat stores. Starting day 3 is the strict adherence to the diet prescribed for you. Every patient is seen regularly and the program modified for their individual needs. The other good news is that for those who don't like injections, oral human chorionic gonadotropin is available. Losing weight can be difficult for many people. No matter how much they work out and watch what they eat it seems results are always far away. That is why we now offer weight loss programs that work with you to reach weight loss goals and get results. 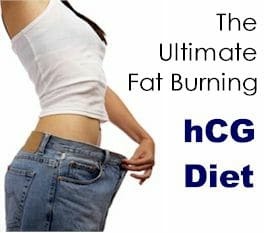 Our most popular weight loss program is the HCG weight loss program. Contact Us for more details. Balance Medical & Day Spa is the premier place for weight loss and skin care in Irmo, Columbia, and Chapin, SC. Flawless skin and a healthy body are our goals! Call or use our contact form to set up a consultation and get back to feeling good and looking great. "Lose weight and feel great with the Columbia areas best weight loss programs!"